When it comes to private proxies, the proxy provider will give you at least one secure way of authentication so that you can use your paid proxy safely. This is also one of the factors you should consider when you are choosing who to get your private proxies from. Any provider that does not give you the benefit of secure authentication is not worth its salt, and you probably shouldn’t be looking to buy paid proxies from them. The two most common methods are: IP authentication vs. username and password login. You can always find out which secure authentication method a paid proxy provider is using from their website, or find out about this by talking to their customer support. There are both pros and cons for both methods, and we will discuss them in this post. This is actually the less taken path for private proxy providers. In this method, your original IP address (given by your ISP) will be used to verify the use of a paid proxy automatically. You do not have to enter any login details, so everything is seemingly convenient as you are authenticating your use simply by your designated IP address. Naturally, this convenience is the key advantage of using this form of secure authentication. However, on the other hand, if you are someone who travels a lot, shifting from hotel to hotel and city to city, then it can be problematic for you when you want to use your private proxy at, say, a café you have stopped to take a breather. Proxy providers will usually let you whitelist up to 15 IP addresses so when you are using any of these IP addresses, your proxies are automatically authenticated. But like we have mentioned, if you travel a lot, 15 IP addresses might not even be enough because every location you stopped at to use your internet will be featuring a different IP address. The other major disadvantage of using IP authentication is when you are assigned a dynamic IP address by your ISP. Dynamic IP addresses, which are good for security, will change your designated IP address at intervals so each time your IP address is changed, you need to clear your IP address with your private proxy provider in order to use it to authenticate your proxy use. Of course, if your ISP only hands out static IP addresses, then this won’t be an issue. This type of authentication method is what you will be most familiar with – just like how you log on to your email account, Facebook, internet banking account, just to name a few. Whether you have bought a single proxy or a batch of proxies, you want to make sure that no one else is actually sharing the paid proxies with you. That’s why proxy providers will provide you with a username and password so that you can verify the access. Usually, your assigned username cannot be changed, and every time you purchase a set (in most cases, monthly), you will get a different set of computer-generated combination of username and password. However, there are some proxy providers that do allow you to change your password. In fact, this is one of the pros for username and password authentication method because it provides you with more control over the proxy access process. By changing your password, you are exposed to lesser risks of being hacked. 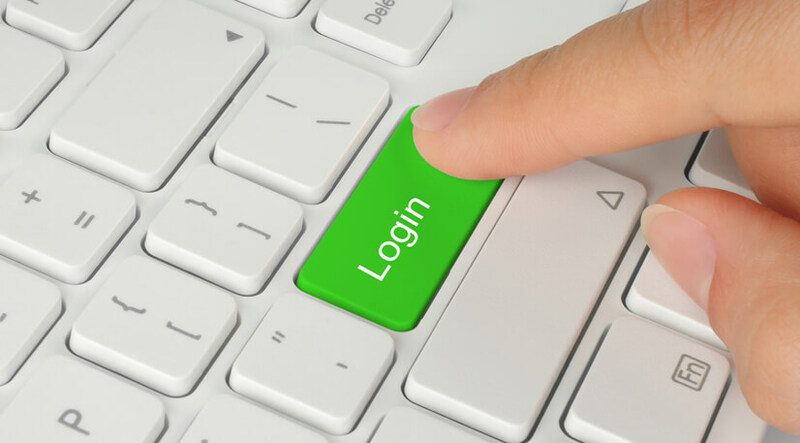 Another key advantage of the username and password login method is that most of us who have been using computers and smart devices would have grown accustomed to this model of authentication without any learning curve. Of course, this could also be one of the cons because it’s essentially another set of login details you have to remember or jot down somewhere. Compared to the IP authentication method, the biggest advantage that username and password authentication possesses is that you can simply fill in your login details and utilize your proxy from anywhere in the world. As you can see from the busy traveler example mentioned earlier, this feature is invaluable, and delivers ease and convenience in using your paid proxies. Think about your needs and decide whether the username and password login method or the IP authentication method suits you better. Of course, every proxy provider usually only provides one of these secure authentication methods, so there are cases in which you cannot choose your preferred method. If we have to choose a winner, it would be going with the username and password method since this is something users are familiar with already and can facilitate the use of your proxy anywhere with ease.